The seventh annual 5 For Change Black Tie Gala debuted in Joburg on 27 October. 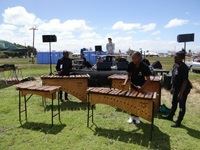 The event raised funds and awareness for five social enterprise beneficiares: Dlala Nje, Olico Maths Education, Hustlenomics, CRSP Dsgn and enke: Make Your Mark. Read more about the event here. 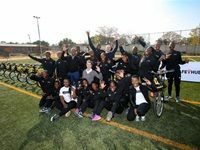 Qhubeka, Tsogo Sun, and the City of Johannesburg donated 40 bicycles to the staff of Diepsloot Safe-Hub on 26 June 2018. The bicycles will help the staff in their efforts to build the Safe-Hub programme in the area by travelling further, faster, and at no cost. The Human Rights Foundation (HRF) and the Nelson Mandela Foundation recently brought the Oslo Freedom Forum (OFF) to Johannesburg, South Africa to mark the 100th anniversary of the former president's birth. 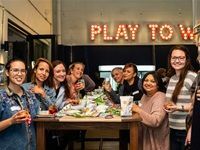 The first instalment of the 2018 Top Women Conferences was held on 15 March 2018 at the Crystal Towers Hotel in Cape Town. 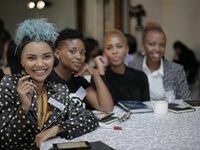 These conferences are aimed at responding to the pertinent questions surrounding the barriers to success for women entrepreneurs, with a showcase of some of South Africa's most influential business achievers. 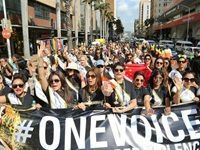 Schools, civic organisations, concerned citizens, and more than 80 Mrs Universe contestants participated in the global #OneVoice march against gender-based violence, child abuse and human trafficking in the streets of Durban on 30 August 2017. On 12 November, The Great Pillow Fight took place at the College of Cape Town, Crawford Campus in Athlone. The Reach For A Dream Foundation, together with Wimpy and Pick n Pay, launched Slipper Day at Wimpy, Mall of Africa. 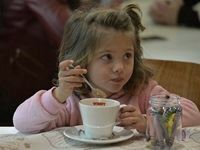 Children were entertained at a fun-filled morning with breakfast, clowns and an assortment of enchanted castle and dragon cakes.